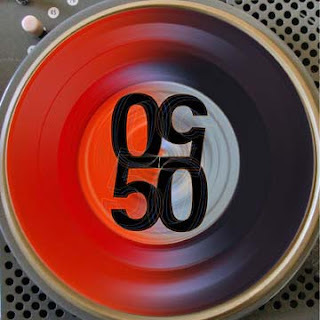 Our 12th anniversary is coming up in January... AND the 50/50 CD is now available for Pre-Order! It really turned out great, if I do say so myself. For more information, visit the 50/50 page HERE. And I'll add a Tshirt to your 50/50 Pre-Order for an extra $2 through the end of November as well. We're only asking $10 for the CD, so just make a note about adding a Tshirt when making a $12 donation at the Support Page. Be sure to indicate what size you'd like (S, Med, L, XL only). Anton Mobin is French Radiophonic Composer, music teacher and radio producer, Anthony Baron. Primarily an improvisational musician and radio producer, Baron has produced sound pieces for dance, theater and radio installation since 2000. Anton Mobin also works in collaboration with members of the H.A.K. Collective, since 2002, and works regularly with artists such as Ayato (Crash Duet), Thomas Thiery (Tham Duo) and Victor Jorge (Obscurantine), to name just a few. His work is archived on the experimental label, H.A.K. Lo-Fi Record. *Tape manipulations, digital deconstructions or turntable creations: “Tape manipulations” seems to be the best term to describe my approach of Sound. As I record all I heard every day since a long time; first on analog support (cassette), then numerically thanks to a Nagra recorder. Fascinated by the peculiarity offer by sounds of the everyday life; field recordings and sound effects are the essential elements of my work naturally directed to an Extensive Concrete Music. *Another genre descriptor: I like to use Extensive Concrete Music to describe my radiophonic compositions. Then, Pling Plong music is the term which define the best my live act when I play springs and others metal objects. *Why you use this descriptor: “Extensive Concrete Music” was used by Phlow Magazine in a review of my “Micro-Climat” soundwork, and “Pling Plong” music was used by Rinus van Alebeek in one of his article to describe my performance in Berlin. *Original Location: I was born in 1979 in Orléans (in the center of France at 100 km in the south of Paris). *What is your creative/artistic background: Briefly, I started Music with piano and guitar when I was 12 years old to finally playing bass in many rock and improvised music bands. Then, I became a guitar teacher for young and very young children in music school. Since 2006, I joined ARTE Radio as radio producer and curated my own broadcast show on the webradio KKWNE. In parallel, I perform live with various international artists through an experimental practice with an approach done wonders for the self-confidence on the music improvised towards an intuitive music. Lauding a radical practice, my approach is energetic, spontaneous and strongly strewed with radio segments. *History: soon 10 years ! 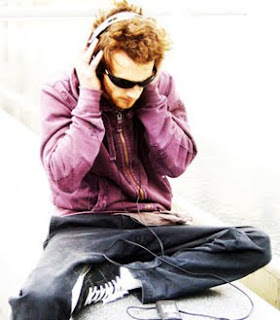 *Born: Anton Mobin is born during a bass recording session in Orléans in 2000 for an album of Ayato (a highjacking composer). He tells me, “I found a name for you: Anton Mobin” and I said “oh, I hate Amon Tobin; ok !! that’s great ! !” Like the music descriptor, I enjoy letting the friend find right words. *Motivations: To create is for me a necessity of every day. A way of Life, I suppose. Meet and connect people. Traveling motivates me. *Philosophy: Life is Sound and Sounds are my everyday life. *How would you like to be remembered: Like a fascinated activist. 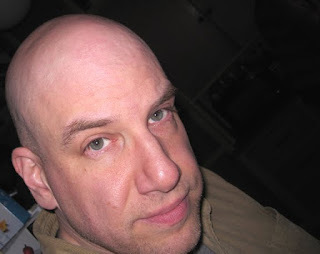 Christopher DeLaurenti is a Washington based composer living in Seattle. He's also a sound artist, performer and music journalist, having writen a column for The Stranger for eight years, as well as essays for publications such as Tablet, The Tentacle and 21st Century Music. His most recent work, titled Secret Songs Of Your Surroundings is an interactive soundscape, installed on the A Line bus transit corridor in Washington State. There are at least a half dozen collections of his work, much of which is available to download for free at his website. We received 3 Camels For Orchestra several years ago now and played the title piece (all three parts) in Episode 28. Check it out HERE. *Are there any additional names used to describe this project: Except for collaborations, I use my own name, Christopher DeLaurenti. *Do you use a pseudonym? I probably should, but even after a few legal hassles over my work, I haven't. I just don't feel enough of a division between living my life and making my art to justify coming up with one. *Tape manipulations, digital deconstructions or turntable creations: It depends on what I am making; I've made pieces with sine waves, field recordings, ultra-processed sounds, as well as composed for acoustic instruments. Appropriation - of myself, of others - is one way I approach composing. For pieces I make exclusively from commercial recordings, I like John Oswald's term plunderphonics. *What is your creative/artistic background: I come from long line of musicians. I've been creating with sound since I was a kid in the 1970s and composing with commercial recordings since the late 1980s by splicing bits and fragments of songs I like together. *History: My first album, "Three Camels for Orchestra," was released in 1995. *Born: I was born in 1967. *Motivations: I love to listen. I make things I want to hear again. *Philosophy: I could go on about this for hours, so I'll just address appropriation: When I create, I'm not only sharing sound but how I listen. Since listeners stand a greater chance of already having heard a commercial, more or less popular recording, my plunderphonics not only reveal how I listen but do so more transparently than anything else I make. *How would you like to be remembered: As someone who made and found interesting things for the ears!